In 1873 Howard Snelling, who had moved from Boston to Lincoln, donated land for the site of an Episcopal church. Mr. Snelling and four members of Trinity Church in Boston raised funds for the church construction, which was completed in late fall 1873. 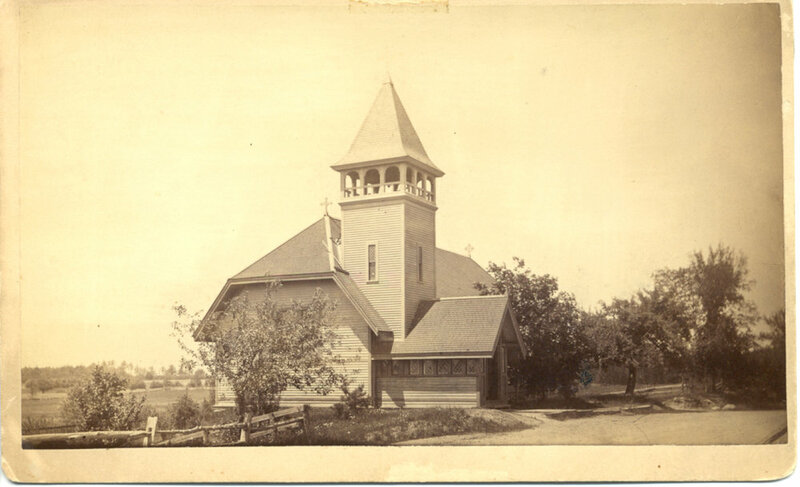 The first service at St. Anne’s was held on Easter Sunday 1874. The parish was never a mission and was dedicated as a parish June 1874. Fourteen families from Lincoln, as well as families from neighboring Wayland and Weston, were listed on the original parish roster. During the early days of the parish, professors and students from the Episcopal Theological School in Cambridge often served St. Anne’s as part-time clergy. At other times the parish shared clergy with nearby Episcopal parishes in Concord and Weston as a result of limited funds. The Reverend Morris Robinson, who served St. Anne's from 1945 to 1970, was the first resident full-time rector. It was during his tenure that Mr. Robinson added “in-the-Fields” to the church’s name. Since Morris Robinson, the parish has had five rectors: Stephen Apthorp (1970-77); Stephen White (1978-85); Mark Hollingsworth, Jr. (1986-94); Cathy H. George (1996-2008), and Kate M. Malin (2009–2018). St. Anne’s remains a vibrant community, drawing over 300 families from Lincoln, Concord, Wayland, Acton, Sudbury, Arlington, Maynard, and Weston, as well as half a dozen surrounding towns.